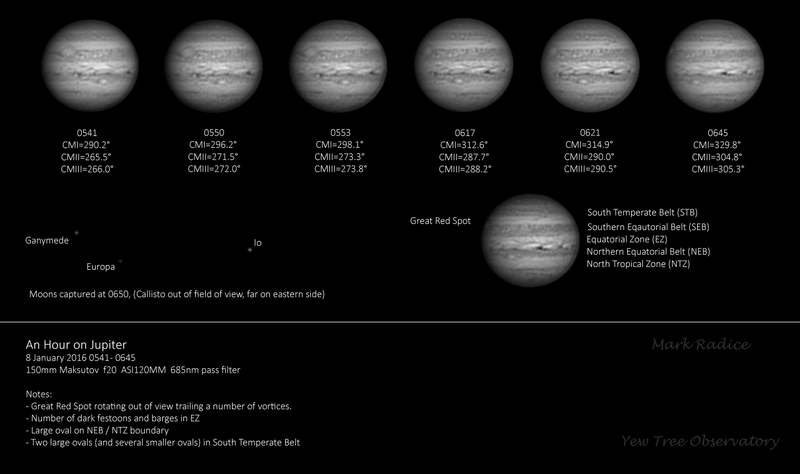 What better way to start the day than watching Jupiter’s Great Red Spot rotating out of view. These pictures were taken for just over an hour on Friday before work. Jupiter rotates in 10 hours and, being a gas planet, it rotates so fast it’s not quite spherical but bulges outwards around the middle – a familiar problem!